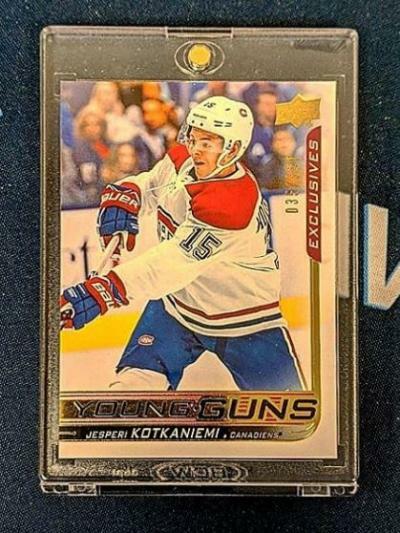 Kicking off the blog we have three hits from some of the top rookies of the new season – Jesperi Kotkaniemi checks in with his UD Exclusives Young Guns RC from 2018/19 Upper Deck Series One Hockey! Kotkaniemi was drafted third overall by Montreal this past June and while most experts had him pegged for another year overseas in Europe he has impressed and has earned his stay with the Canadiens. So far this season he has compiled a solid 12 points in 20 games. His cards should only go up in value as Kotkaniemi looks to be the star number one center for the Habs for the next decade plus! Let’s not forget about the 1970 NHL expansion brothers either – the Buffalo Sabres and Vancouver Canucks. 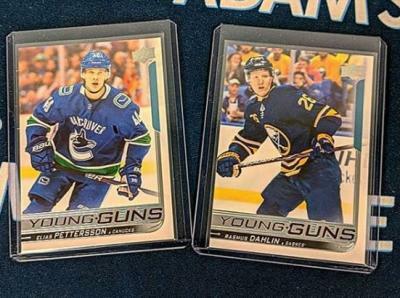 Elias Pettersson (leading rookies in scoring) and Rasmus Dahlin (the 2018 number one overall pick) also are here with their Young Guns RCs. The 2018/19 season is shaping up to be quite memorable and the strong rookie class has a lot to do with that. 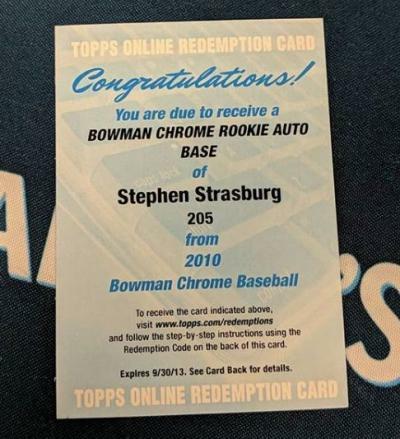 Speaking of rookies how about this pull from 2010 Bowman Chrome – it’s a throwback – Washington Nationals ace pitcher Stephen Strasburg Rookie Auto! Unfortunately the redemption expired in September of 2013…does anyone have a DeLorean the breakers could borrow? It was another great week of hits for our breakers in the lounge. If you want to get in on the action (and you know you do!) check out our box break schedule for more information on upcoming breaks. If you are new to breaking and have some questions still just head over to our box break FAQ for answers to pretty much anything! The post DACW Live – The Best Box Break Hits of the Week 11/12 – 11/18 appeared first on Dave & Adam's News.